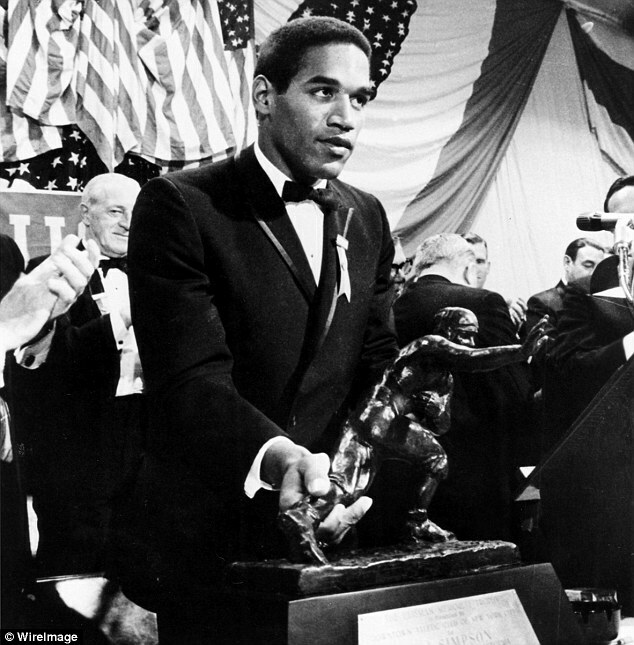 It was fifty years ago this week- on December 5th, 1968 the Heisman Trophy for College Football’s best player was awarded to O.J. Simpson- the great running back from Southern California. Simpson was a runaway choice for the award-winning by the largest margin ever in the voting. In 11 games that season Simpson ran the ball 383 times for 1880 yards an average of 4.9 yards a carry and scored 23 touchdowns. He also caught 26 passes for 211 yards. In the voting Simpson received 855 first place votes, 2nd place went to Leroy Keyes a running back from Purdue with 49 first place votes. 3rd place went to Terry Hanratty Qb Notre Dame, 4th place Ted Kwalick- TE Penn State and 5th place to Ted Hendricks LB Miami Florida. In 1967 OJ Simpson had finished 2nd in the voting and Leroy Keyes 3rd behind winner Gary Beban- QB UCLA. Who would have ever thought what would have happened a few decades down the road with Orenthal?